A business owner must occupy 51% of the building, but they may lease up 49%. The SBA 504 program provides a low down payment, as low as 10%, for the purchase of commercial real estate. This loan includes three participants – the borrower, the bank, and the SBA lending partner. As noted, the borrower’s down payment is as low as 10%; the bank funds 50% or more of the loan and the SBA funds up to 40% of the loan. The SBA seeks to ensure that businesses can plan their costs over time, thus the interest rate for the SBA portion of the loan is fixed for 10, 20, or 25 years and amortized over the same period to make certain that mortgage payments are affordable for growing businesses. Why Get a Real 504? A Real Estate Advantage Loan (also known as a REAL or 504 Loan) is a 10-percent down, fixed-rate, long-term loan designed to expand capital access – filling a market gap in long-term financing for America’s small businesses. Since it is fixed-cost and long-term as well as SBA-backed, the 504 is one of the best financing options available for small business owners today. An entrepreneur paying down a REAL loan rather than throwing that same money away on rent means investing in his or her personal and business’s financial future. Once the building or machinery is paid off, a business can enjoy the same revenue without paying a monthly property expense or may even rent the space out to other businesses for a profit. With a REAL loan, an entrepreneur can purchase his or her business’s real estate or machinery. He or she then gets the tax benefits and appreciation on the real estate while locking in occupancy costs for 20 years. As an entrepreneur, you know the importance of liquidity. With financing available for up to 90 percent of project cost, the REAL loan offers a 10 percent down payment (compared to 25 or 30 percent through a traditional bank), enabling the entrepreneur to conserve working capital. The SBA (Small Business Administration) created this program to increase the accessibility of business property loans to entrepreneurs, helping enhance the economic health of local communities. 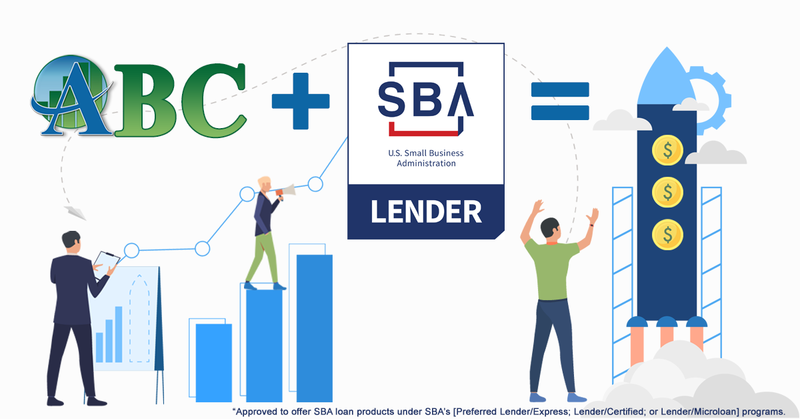 AMPAC encourages interested small businesses to compare REAL loan fees to fees of other loan options on the market, including other SBA-backed loans such as the popular 7(a). What you will find is that 504-loan fees are the lowest on the market, and may be reduced further if the interested entrepreneur is a female, veteran or franchise unit owner. Find out more about these strategic initiatives to further reduce fees. The 504 Loan Program provides 10, 20 or 25 year fully amortized financing. This enables a small business owner to pay for a facility over the long term while avoiding risky loan call provisions typical of traditional lenders. The 504-loan boasts low-interest rates that vary based on market forces. The actual interest rate the borrower pays is calculated based on the debenture rate for the month the loan is funded. REAL loans are funded by monthly bond (debenture) sales to investors on Wall Street. REAL loan financing allows an entrepreneur to fix his or her business occupancy costs rather than worry about market instability or fluctuating rates. An entrepreneur can purchase and hold title to a building personally, in the name of the business or even set up a holding company for the real estate. This gives the small business owner the flexibility to maximize tax benefits of ownership and minimize liability in the manner best suited for the entrepreneur and his company. In some circumstances, two or more small businesses will receive a single REAL loan if it suits them to combine to create a real estate holding company. This option works especially well for professionals in the medical, veterinary, legal and accounting fields. Unbelievably given the advantages, most businesses worth under $15 million are eligible for a REAL loan for their property and machinery needs. This includes projects as costly as $5,500,000 of REAL financing depending on the nature of said project.